Eighty-eight - Sixty-eight, Cats. The start of a twelve game winning streak. Not being a homer. A lot depends on IF the UDub big man plays and how healthy he is, as well as how healthy Jeter is at game time. If he plays and is effective it will be hard to win this one. If he does not play and Jeter is better then we have a good chance to win. As a staff, with a three game lead in the conference, I doubt they risk further injury if he is not 100 %. We do not have that luxury and need Jeter in an almost desperate manner. I think we feel the sense of urgency and pull it off. Huskies 72 Cats 64 don’t have the depth. Ugh..
Arizona lost by 20ish to UCLA. I watched part of (10 min) the UCLA v UW game and while I'm too lazy to look up the final score UW looked like they were easily 15 points better than UCLA. By transitive property that means we will lose by 35. However, based on recent history and our 2 point home court win over power house UC Davis, I award us 10 McKale points due to our national first or second best recent home court advantage we enjoy. That brings our loss down to only 25 points. But, we have the magic of making 3 pointers at the end of games when games no longer matter and I have a vision of Barcello nailing a 3 with 28 seconds to go in regulation to get us to within 22. That's where the magic will run out and we lose a close one 79-57. While this team has been tough to watch at times and those times being most of the time, I'll always be a Arizona alum and thus, always love our school. I love the fight I saw at ASU and the ending was tough to watch but that's a team I can truly get behind. I liked that better than watching a bunch of NBA'ers with one foot out the door last year. Not you Ristic or PJC, love those guys. That being said, I believe this team can find some actual magic if they are hot from 3. I look forward to watching them again and I'll be behind them 100% no matter what happens. 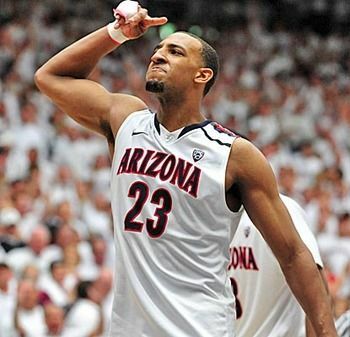 Arizona 68 - Huskies 65. Huck the Fuskies!! Bear the Huck Down!!!! We almost took the ASU game, time to give them their first PAC loss. Can't let them be perfect. Oh yeah, Barcello nails the 3 with 2 seconds left in regulation. BearDown93 I hope your heart is right. GO CATS!